What’s more American than BBQ? When you step foot into Mission BBQ, they’ll have you convinced that patriotism is spelled with B-R-I-S-K-E-T. Covering the walls of every location are badges, helmets, uniforms, plaques, and photos. Each and every piece of memorabilia tells the story of an unsung hero. Just off Route 610, Stafford’s Mission BBQ boasts photos of the former Stafford Sheriff MacGregor and his Police Department. Images of DEA agents and Marines that serve at Quantico line the walls. Badges from firemen and women are riveted inside booths, along with uniforms and helmets from every local agency and department you can imagine. At 12 o’clock each day the National Anthem plays. Without fail, every employee and customer stands up, puts their hands to their heart, and considers the cost of freedom. 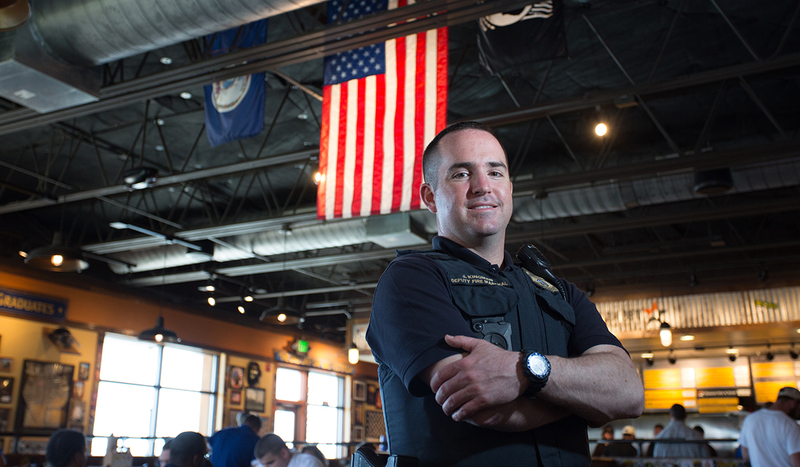 “Mission BBQ wants to be the first responder to the first responders,” says Dave Cobb, the Director of Operations for Northern Virginia. And, to the men and women who risk their lives every day, it’s no secret the amount of charity work the chain does along the East Coast. For Brandon Boyle, there was never another career. Law enforcement was always going to be his future. Having grown up with a father in law enforcement, Brandon knew a little bit about what to expect. “But, there’s really no way to prepare yourself for being a cop other than being a cop,” says Brandon. Within his first couple of years, Boyle has been recognized for many achievements. Among those have been a Letter of Commendation for assisting in arresting a career criminal and for being a Red Cross Lifesaver Award by performing CPR. Another Letter of Commendation was presented to Brandon for finding a citizen suffering from dementia and alzheimer’s who had fallen down a hill in the freezing rain. When rescued, the elderly gentleman was holding onto a fence so he wouldn’t fall into a drainage pond. “That was just me being in the right place at the right time. That could have been any deputy,” says Brandon. The most recent act of bravery was in June of 2016, when Deputy Boyle was shot five times for helping a mother tend to her son. Brandon arrived at a Stafford residence after getting a call about a break-in. He quickly discovered that a mother had called because her son—18 years old—broke into his own home. Since it was not illegal for the boy to break into his own house, Deputy Boyle continued to stay and help because of his concern for her son. After getting permission to enter the home from the owner, Brandon and his squad found a sliding glass door wide open when it had previously been shut. They assumed the boy in question had run away, but decided to search the house to be sure. They cleared the basement in pitch black. Once they got to the main level, everything was dark, except for a single light at the top of the second-floor stairs. In the living room, they found a gun cleaning kit, a loaded handgun magazine, and some knives. Once they heard a sound coming from the second floor, they knew they were not alone in the house. While clearing the second floor, another deputy found the boy hiding under a bed. Brandon moved toward the room in an attempt to aid his team, and it was then that the son shot five rounds into Brandon Boyle: two shots to the hip, one to the thigh, one to the forearm, and one to the chest. Brandon could not see into the dark room, but Deputy Boyle was backlit perfectly by the single hallway light. Deputy First Class Boyle has been recovering since that time, just getting back into the field this spring. Meet James—or Jimmy, as his colleagues call him. 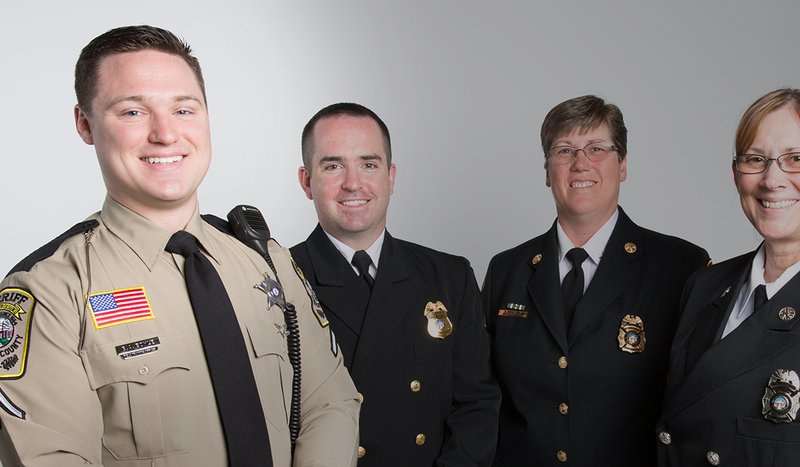 He started his career in public safety with the Stafford County Sheriff’s Office. As a Deputy First Class, James was on Stafford’s SWAT team for about six years. One night, he and his team responded to a barricade incident in Spotsylvania. “That happens regularly with larger scale incidents; adjoining jurisdictions go and help each other out,” explains Jimmy. After hours of waiting for the situation to progress, the gentleman in question began firing his rifle. One round, in a one-in-a-million shot, slipped through the crack in the armored vehicle’s open door behind which the SWAT team was taking cover. The round hit Jimmy’s vest and lodged shrapnel into his leg. He received the Silver Star following that incident. “I honestly don’t think it was very deserved,” says James modestly. Amazingly, new uniforms and vests were to be worn the very next day, so Deputy Kingman was wearing an oversized vest for one last night. It was that bit of extra material where the round hit. “This is just the man upstairs looking out for me,” says Jimmy. As a Master Technician, Terri Gamlin takes charge of her medic unit: keeping everyone up on training, keeping the ambulances stocked and ready to go, and making sure everything happens just as it should during an emergency. Not to mention, taking care of patients. In 1993, she started volunteering with Fire and Rescue. At the time, Stafford County did not have a career Fire and Rescue Department. An amazing four years later, she was first hired as a career paramedic. Recently, Master Technician Gamlin had the opportunity to see the long-lasting effects of her work. In 2015, she came to the scene of a single vehicle that had rolled over; a young woman was trapped under the car. “I looked at her, and I said: ‘She’s at least 16 weeks pregnant.’” With a lot of injuries, Terri left her in the hands of the hospital thinking she would not survive. Thankfully, the patient lived. Lori’s career in Fire and Rescue could be characterized by her passion to empower herself, and her community, with the means to help in an emergency. 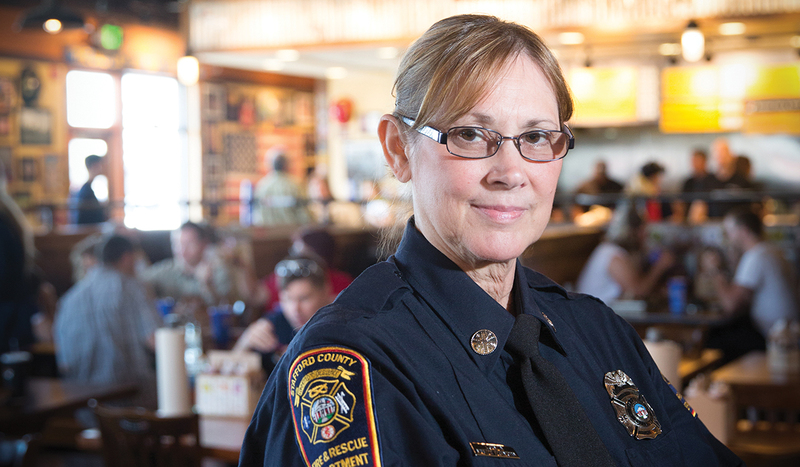 As a young adult, Lori became EMT certified and volunteered in her community. But, it struck her each time she passed an emergency on the road that she was not properly equipped to stop and help with. 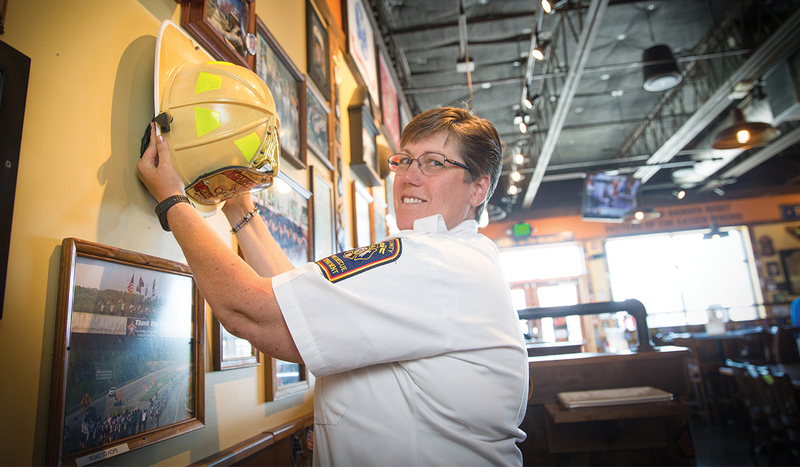 In 1993, she quit her full-time job to join Stafford’s new career Fire and Rescue Department. Her first position with the department was a temporary, six-month job with zero benefits. However, she had a hunch that the county would continue to grow. She worked her way up, maxed out her certifications, and she now holds the position of Deputy Chief of Fire and Rescue. “I took a chance, and 23 years later here I am,” says Lori. PulsePoint, part of her newest initiative for a Heart Safe Community, is a free app for your smartphone. It will equip civilians in emergency situations by alerting you if there is a cardiac arrest happening nearby. It will also show where the closest AED (Automatic External Defibrillator) can be found. Running in the background of Stafford County’s CAD—or Computer Aided Dispatch—it will only show emergencies at public addresses within the county. “It will notify you, for instance, if you’re in Stafford Marketplace and something happens at the Target,” explains Lori. Sudden cardiac arrest is a leading cause of death in the United States, according to the PulsePoint Foundation. Early implementation of CPR or an AED can make all the difference. Fire and Rescue hopes to bring awareness to CPR-trained people so they can download the app and be available to the community. Find the app in your App Store, or find out more at http://www.staffordfirerescue.com/260/PulsePoint. PulsePoint is part of the Heart Safe Community Initiative. 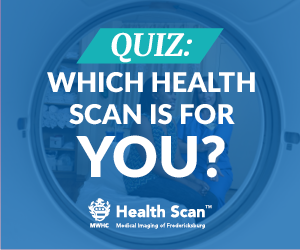 Stafford is internationally recognized as a Heart Safe Community; this means that if you have a heart-attack within the county, there’s a higher chance of being resuscitated before ever getting to a hospital. But, Lori Knowles wanted to take this concept beyond an award from the International Association of Fire Chiefs to an official Heart Safe Community designation. 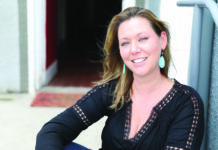 Virginia did not have a program to designate their communities, so Lori wrote one. And, in order to not be self-certifying, she teamed up with the Rappahannock EMS Council. 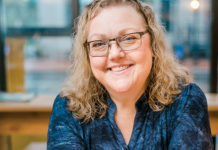 “I said: ‘I’ll do all the background work and I’ll write a program, but I want it to go to a committee when someone submits an application,’” says Lori. Stafford County was the first Heart Safe designated jurisdiction in the Commonwealth. King George and Fredericksburg counties just earned their designations this spring. What does that mean for you? If you live in any of these counties, your public safety professionals are well-equipped and well-trained to deal with cardiac arrest. And fast.